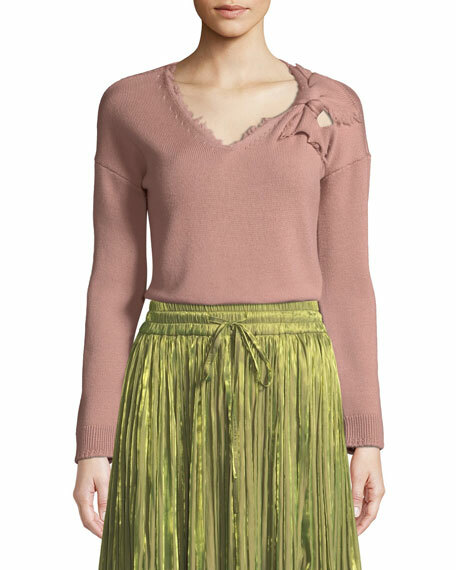 REDValentino sweater with bow and cutout detail at left shoulder. For in-store inquiries, use sku #2586243. Fine-gauge heather knit. V neckline. Long sleeves with banded cuffs. Ribbed hem. Cashmere/wool. Made in Italy. 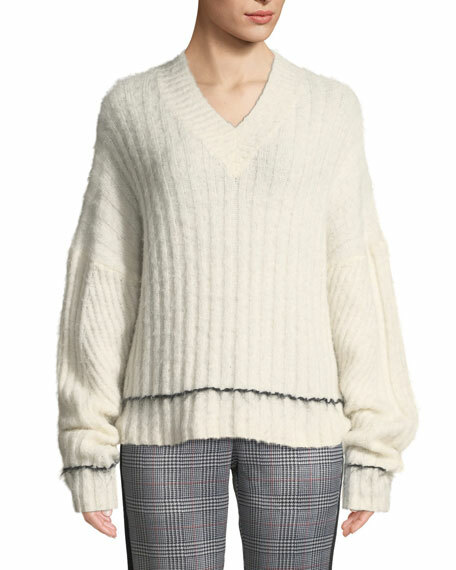 Derek Lam 10 Crosby melange sweater in cashmere. Approx. 23"L down center back. Ribbed trim at neck, hem, and cuffs. Rounded V neckline. Long sleeves; dropped shoulders. Relaxed fit. Arched hem. Pullover style. Cashmere. Imported. 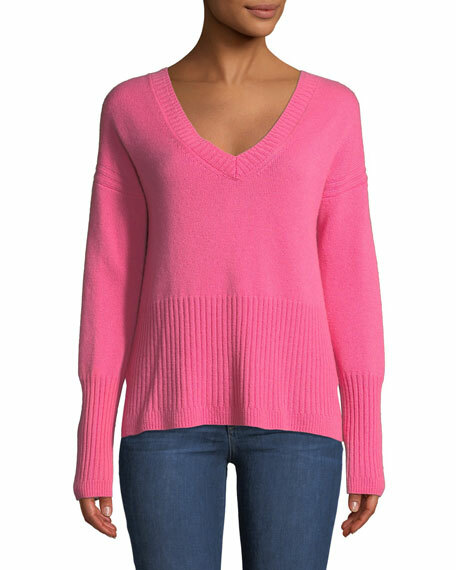 Milly rib-knit sweater with contrast trim. V-neckline. 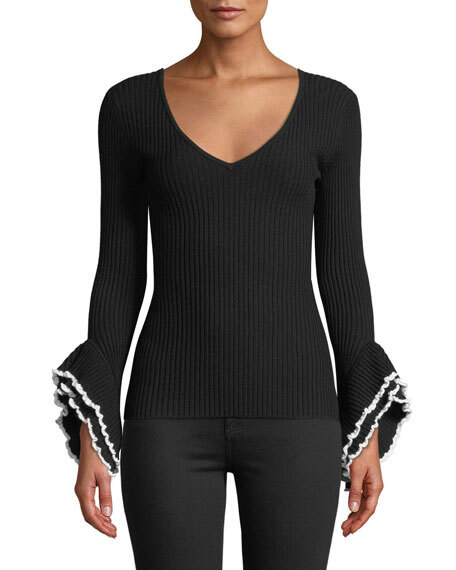 Long sleeves; ruffled cuffs. Fitted silhouette. Straight hem. Pullover style. Viscose/PBT/polyester. Dry clean. Imported.